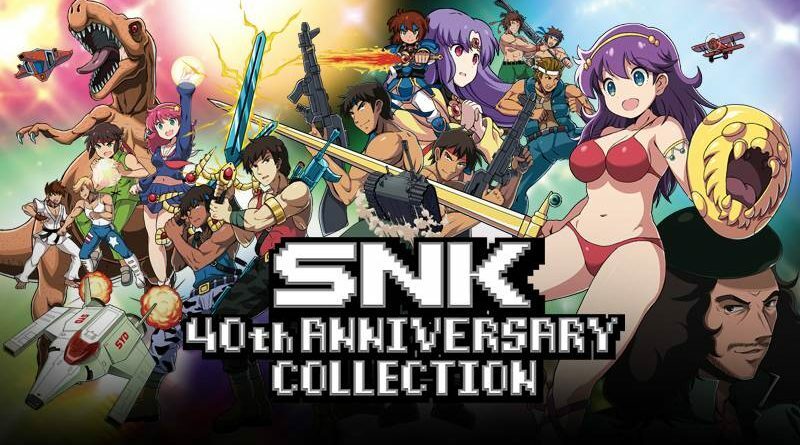 NIS America has announced that SNK 40th Anniversary Collection is available now for Nintendo Switch in North America both physically and digitally. In Europe, it will release on November 16, 2018. The collection features many of SNK’s classics from the 1980s before the Neo Geo, and re-introduces and updates these classics for the modern era. SNK 40th Anniversary Collection includes at launch 14 titles: Alpha Mission, Athena, Crystalis, Guerrilla War, Ikari Warriors, Ikari Warriors II: Victory Road, Ikari Warriors III: The Rescue, Iron Tank, P.O.W., Prehistoric Isle, Psycho Soldier, Street Smart, TNK III, and Vanguard. 11 more titles will be available for free on December 11, 2019: Beast Busters, Bermuda Triangle, Chopper I, Fantasy, Munch Mobile, Paddle Mania, SAR: Search and Rescue, Sasuke vs. Commander, Time Soldiers, World Wars, and ZMA Wars.